Ruijie i-Share+ solution deploys a marketing-leading distributive design and exclusive Gigabit architecture to handle high-density and complex application scenarios with ease. The hierarchical structure consists of three main components - i-Share+ Master AP, Mini AP module and 100-meter Ethernet Cable. The Master AP RG-AM5528 guarantees each room with independent MIMO signal, and supports up to 24 rooms with optimal dual-stream coverage under dual-band 2.4GHz/5GHz. The i-Share+ AP Series offers a wireless solution that embodies high performance, exceptional coverage with an aesthetically pleasing appearance. The Master AP RG-AM5528 implements 802.11ac and supports concurrent 802.11a/n/ac and 802.11b/g/n. The AP adopts a 19-inch rack design for standard deployment in low voltage room or flexible installation on small rack in corridor. The Master AP offers 24-ports RJ45 downlink to connect to i-Share+ Mini APs, which are available in various forms for intelligent and painless deployment in student dormitory, hotel room, enterprise office and other populated network settings. The i-Share+ solution adopts Ruijie’s leading hierarchical distributive architecture. The Master AP RG-AM5528 implements a distributive design with data forwarding and service management carried out on different modules. 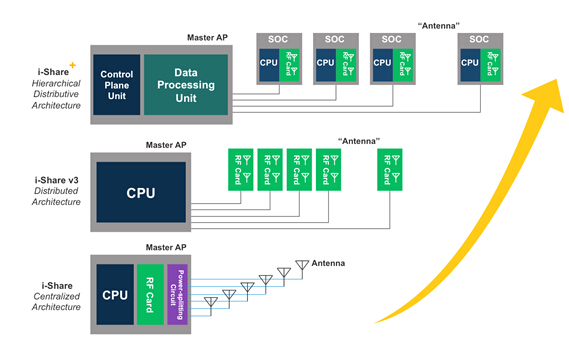 Supplementing with a 10G uplink interface, the Master AP totally eliminates data transmission bottleneck. The Mini APs, which are specifically designed for indoor installation, implement independent CPU for data processing and forwarding. The isolated RF chip enables multi-user scheduling. The innovative Master AP + Mini AP hierarchical architecture offers a comprehensive wireless solution with upgraded user experience. ●RG-MAP552 enables ceiling or wall mount deployment. The compact AP is an ideal match for large-scale scenarios requiring new cabling. 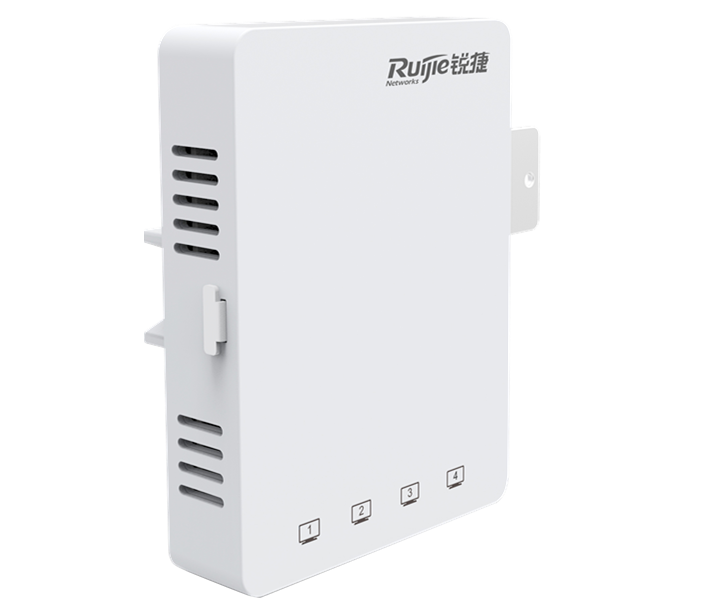 ●RG-MAP552-W resembles a wall AP and supports plug-and-play installation leveraging an existing 86-type faceplate. No additional cabling is required. In addition, the Mini AP offers an anti-theft design and a passthrough port to support renovation work with multiple sharing networks. The i-Share+ solution takes care of both wireless and wired network demands. While Wi-Fi connectivity is gaining significance, the solution also addresses the access needs of conventional wired devices (e.g. office desktop PCs and printers). 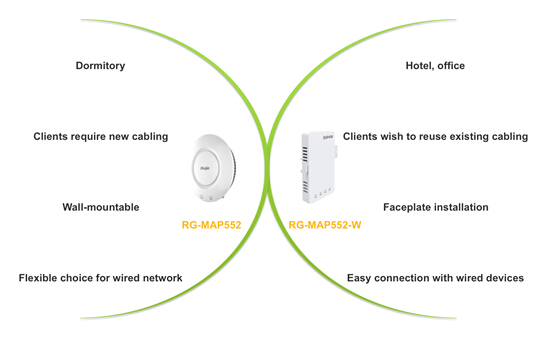 Both Mini APs RG-MAP552 and RG-MAP552-W offer LAN port for easy wireless and wired network integration. The Master AP RG-AM5528, resembling an Ethernet switch, gears up with 24-port downlink, 2-port 1000Base-T and 2-port 1G/10GBase-X SFP+. With reference to the readily available wired network statistics, IT specialists can obtain site visit data for wireless deployment in a faster, more accurate and efficient manner. The i-Share+ solution totally outperforms the traditional to simplify site visit work and maximize implementation precision.